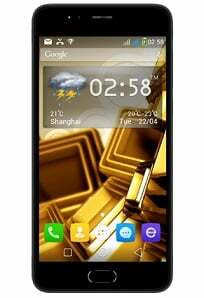 Symphony Z9 is an upcoming Smartphone than comes from Symphony Mobile. This is a middle range smartphone. Looking to the smartphone specification, this device seems quite balanced. Symphony Z9 has the good display, It has 5.5 inches HD LTPS IPS Display sounds sharp, colorful and comfortable for the eyes.Under the hood, this device has powerful Mali T860 GPU, 3 GB RAM, and 1.5 GHz Octa Core CPU so it’s suitable for all kinds of HD gaming. This device has other special features is probably it’s dual camera features. Symphony Z9 has 13+2 MP Dual Primary camera. This will make sure too good focused and sharped images. 8 Mp selfie camera is quite fine too. Overall Symphony Z9 is an awesome smartphone in Bangladesh.